On a fuel injected engine, computer system can use air flow data to improve performance and fuel economy. Most modern engine systems include a Mass Air Flow Sensor, which usually measures air flow by its general pull through the intake system. This data, combined with the data from the MAP sensor and O2 Sensor, can be used to determine how much fuel to inject to achieve proper combustion efficiency. 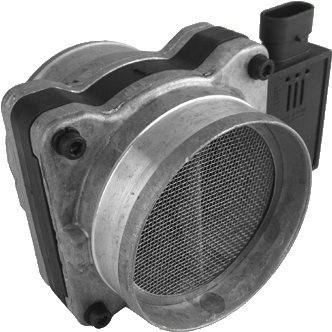 Most cleaning chemicals can damage the sensing elements in the mass air flow sensor. Only a cleaner specifically designed for these sensors should be used. A sensor should always be unplugged before cleaning, and ideally will be removed from the vehicle for cleaning as well.